Hopefully you guys have been enjoying the selection of Hot Rod Spotlights I've been sharing from recent events. 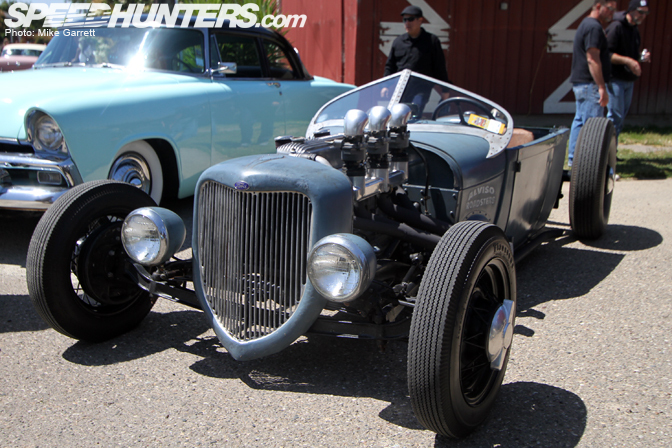 For my final Rod spotlight of the month, I present to you this heavily modified 1929 Ford. 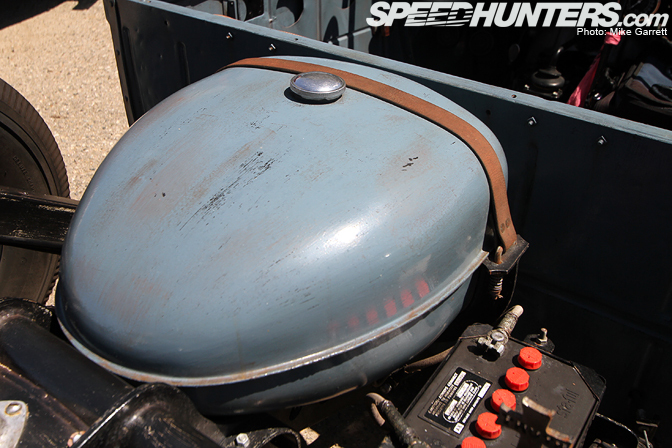 When it comes to a Roadster, this is as raw as it gets. 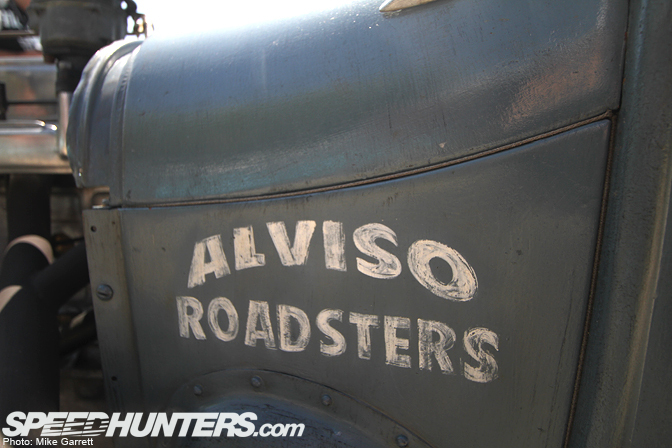 It's a vehicle represents all that is great about Hot Rodding. …to the hand-lettered car club identification. 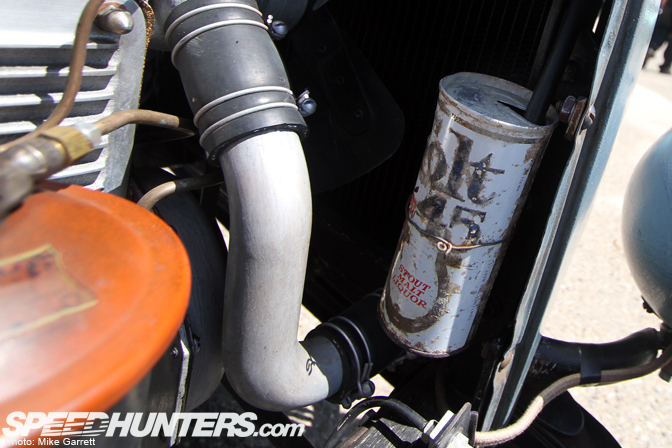 Surely Lando Calrissian would approve of the use of this Colt 45 can in the engine bay. Speaking of the engine bay, it's occupied not by a typical V8, but by this Offenhauser-equipped inline six. Don't let the headers fool you! There are six plug wires on the other side. The aircraft/race car-inspired windshield is all sorts of cool. 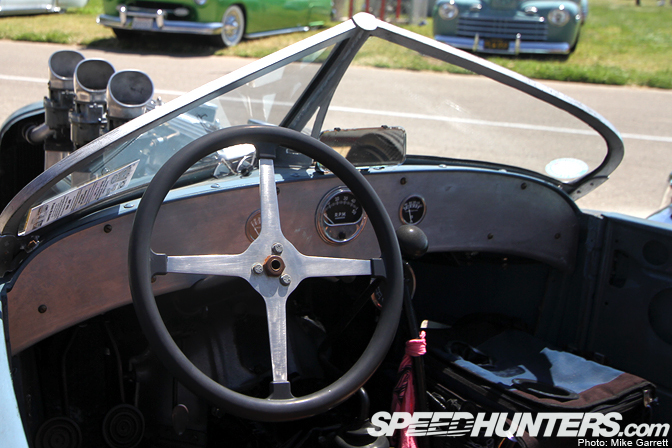 If this your driver's-eye view, then your motoring experience is as visceral as it gets. In an age of cars with stability control that can't be fully disengaged and computers that need to wake up sleeping drivers, it's always great to see there are machines like this one still on the road. THIS is why Hot Rods are great. Plain and simple. What a car! 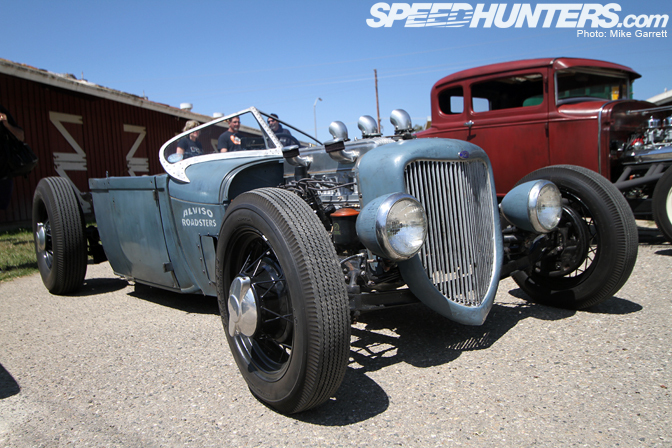 It's a nice blend of a traditional hot rod and a WWII fighter aircraft, spiced up with some steampunk influences. I love the fact that it has a straight six engine, that alone makes it unique in the Chevy small block crowd. BTW, how's this for a straight engine? 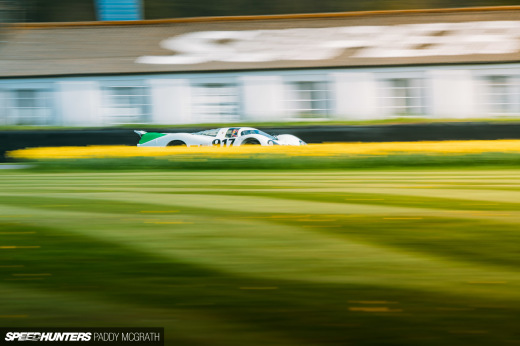 This car is a great is such a great old car. I loved the detailed pictures of the interiors of the car. Love this car Mike! I've seen it at Bonneville before! 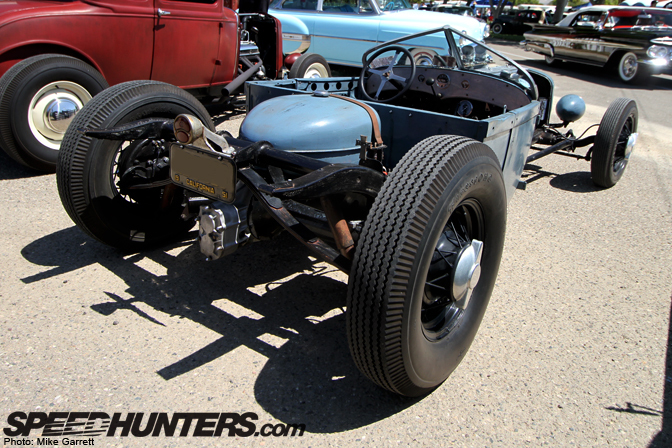 Keep the hot rod coverage coming! I've always thought hot rods were pretty neat, but I think this is one of the first that I've actually really wanted to own or drive. 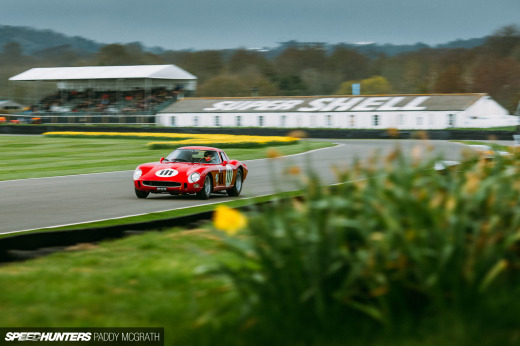 Great write-up, that thing is naaaaasty. Mike ,your KOOL in my book!!!! 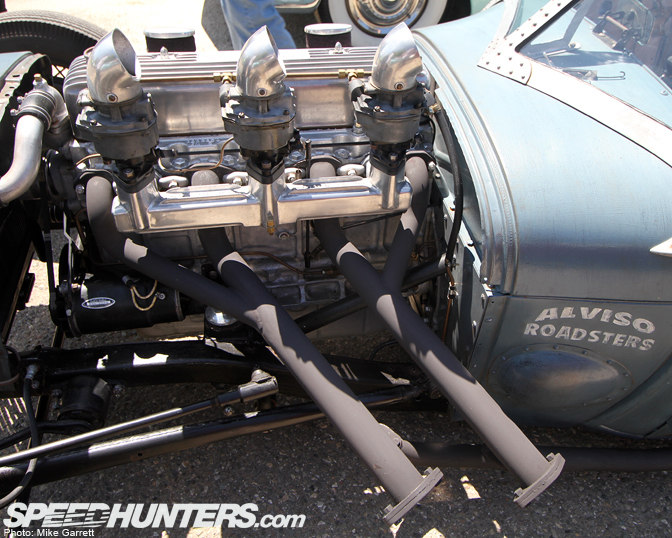 THIS is why I check Speedhunters so often and THIS is why I build Hotrods and Kustoms!!!! reminds me of the bare metal pickup featured in rodders journal years ago, awesome. "But is it only me who can only see 4 outlets on the exhaust manifold"
tank is def from a tractor. read a feature article in some hot rod mag a few years ago. 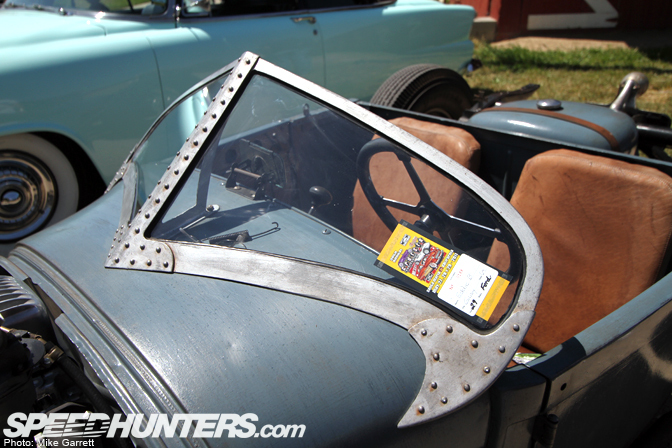 also owner hand formed the windshield frame. great pics. could use some more info for the write up tho.